Home / Uncategories / The Luxury Reporter Out With Maiden Print Edition. The Luxury Reporter Out With Maiden Print Edition. 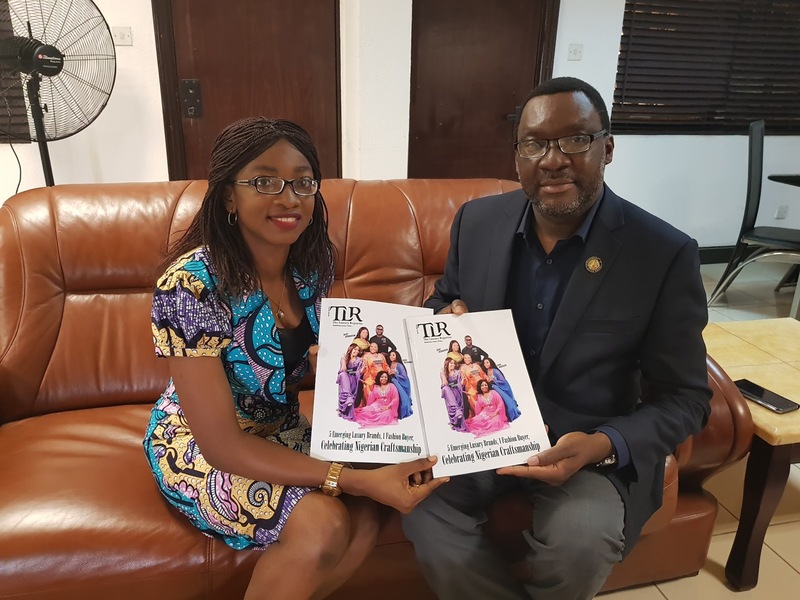 After 22 digital editions, The Luxury Reporter (TLR) magazine is out with a maiden print edition, Funke Osae-Brown, the magazine publisher has announced. “Indeed, it is good to dream big. The process of realising the dream could be tedious. However, it will be a tragedy not to try. We have dreamt of having a print edition of The Luxury Reporter (TLR) Magazine. So, after doing 22 digital editions which was widely accepted and read globally since December 2015, we are happy to present to you the maiden print edition of TLR in print. For us, this is a major milestone. Despite the challenges, we are happy the first quarterly print edition of TLR is out,” said Osae-Brown. The print edition which is available for purchase at designated stores, is a celebration of Nigerian craftsmanship and emerging new lifestyle brands in the country. It heralds a rebirth of fine craftsmanship. Osae-Brown explained that putting the contents of first print edition together, her team did not ignore the fact that Nigerians are still largely consumers of European and American luxury. Hence readers will find content on foreign luxury goods, like automobiles, yachts, hotels, wines, perfumery, luxury stores among others. There is also an attempt to give an overview of the Nigeria luxury industry; how the market has evolved over the years and what can be done to fully develop it in the coming years. It is a 100-page package you cannot help but read. 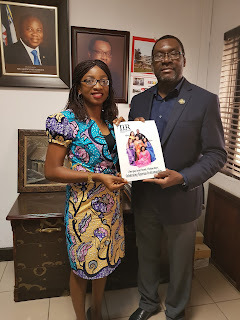 While receiving copies of the magazine at his Alausa office, Steve Ayorinde, Lagos Commissioner for Tourism, Arts and Culture commended the efforts of TLR management to beam the searchlight on country’s emerging luxury brands. 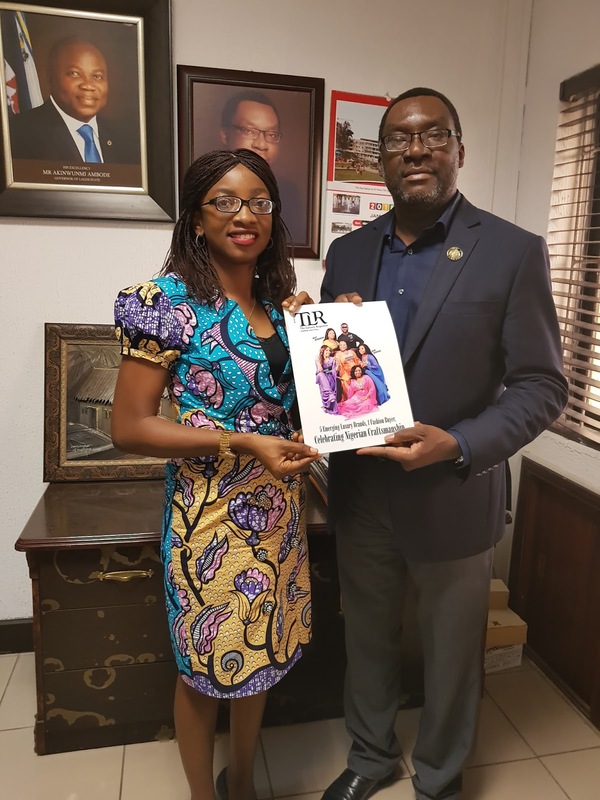 “One of the most hard-working women in journalism today and publisher of The Luxury Reporter, Funke Osae-Brown, stopped by to present the maiden edition of her magazine. Good stuff. Please get a copy,” he later wrote on his Instagram handle after the visit.